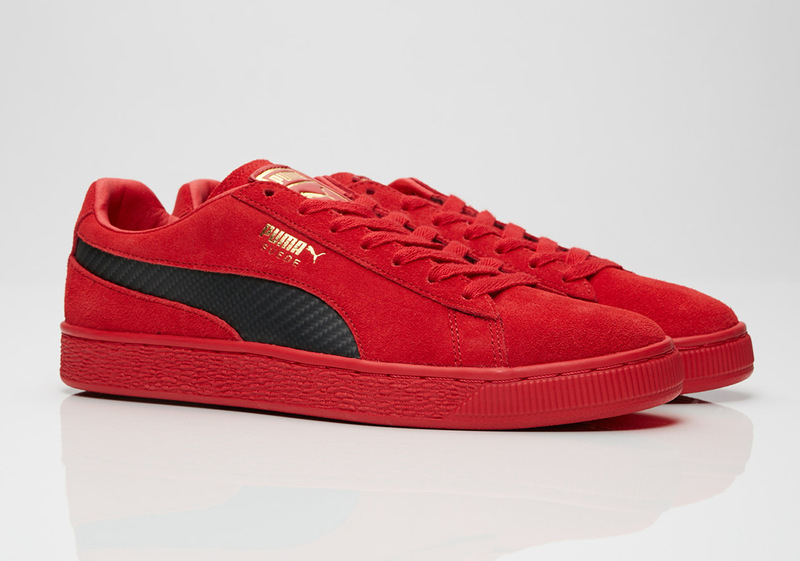 Puma is pulling out all the stops for the 50th anniversary of their classic Suede, calling upon their extensive network of collaborative partners to add a special touch to the iconic sneaker in celebration of its milestone birthday. 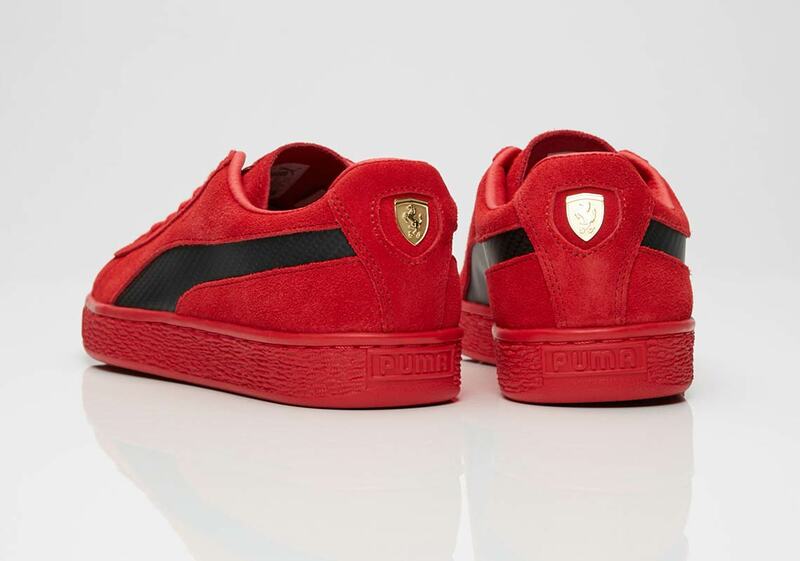 After the release of special limited-edition Suedes with German luxury brand MCM and sneaker OG Bobbito Garcia, the silhouette is now back in the spotlight again, this time in partnership with none other than Italian luxury automobile manufacturer (and long-time Puma associate) Ferrari. 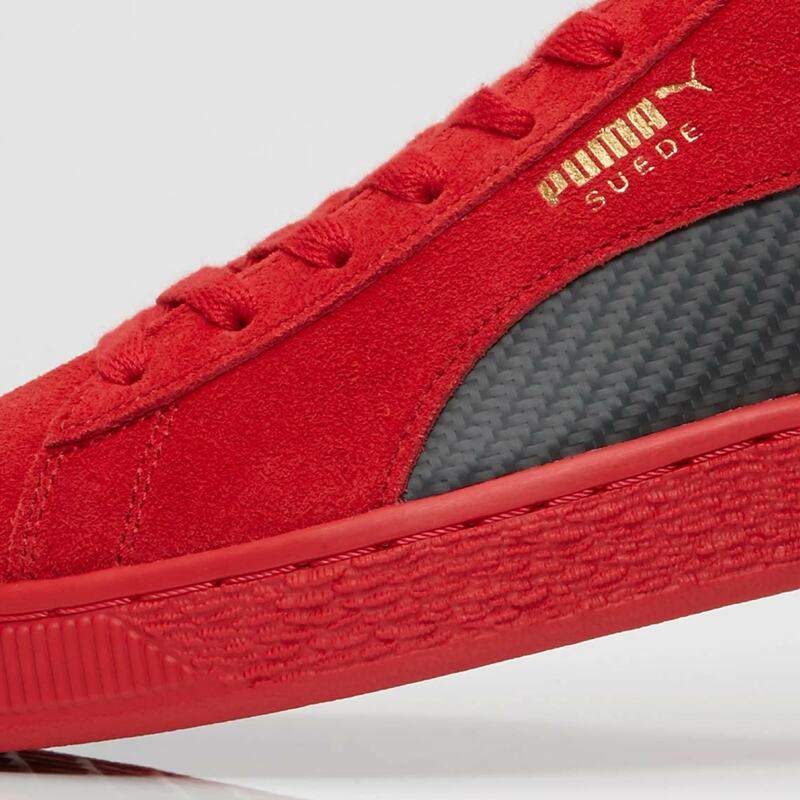 Arriving in a rich red “Rosso Corsa” colorway, the shoe boasts a tonal red suede upper while Puma’s formstripe graphic arrives in a speedy dark black with carbon fiber detailing, nodding to the high-end materials the supercars are constructed of. 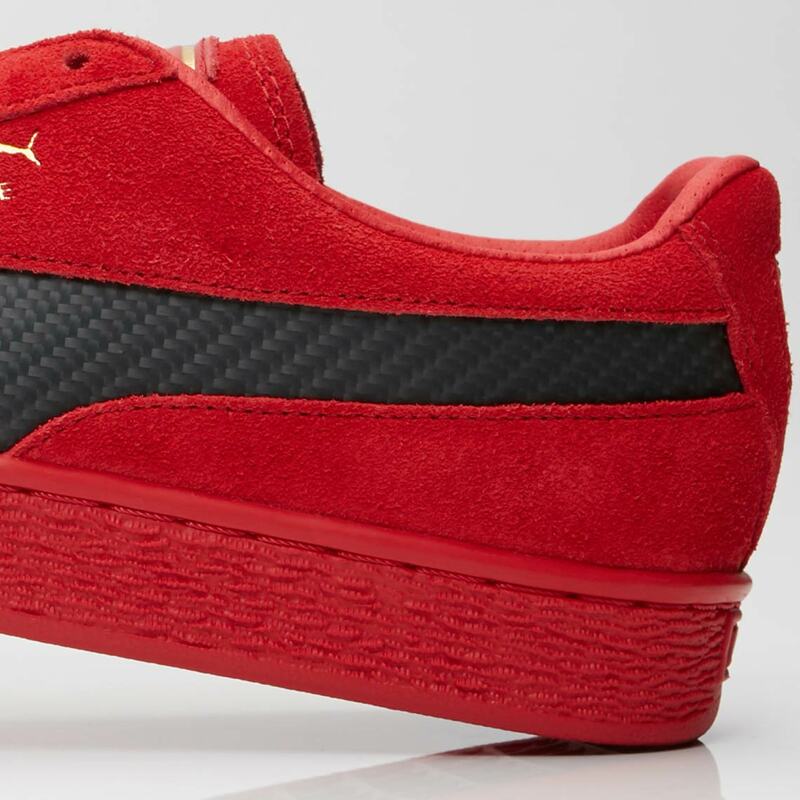 Gold Puma branding on the tongue and lateral side of the midfoot add to the premium look, and the heel’s normal Puma cat logo is replaced with a gold-stamped Ferrari badge for a final luxury touch. 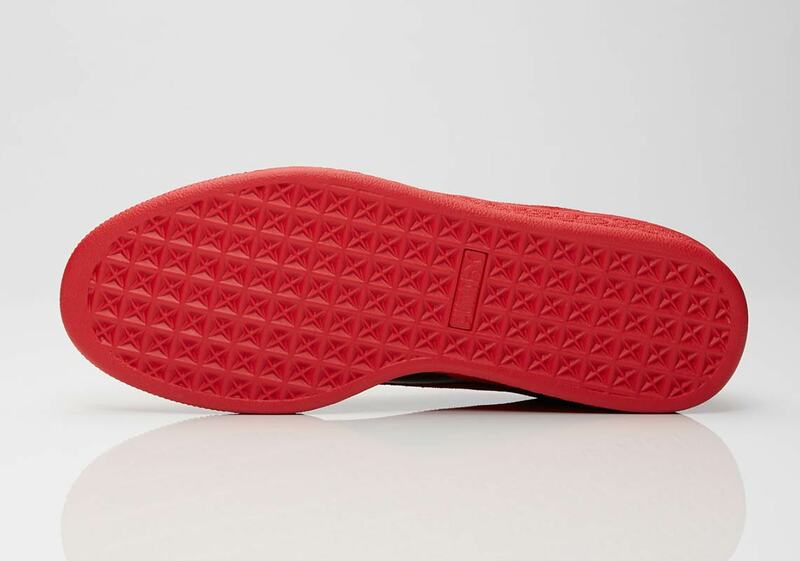 A red midsole/outsole completes the opulent, automobile-inspired aesthetic. Sneakerheads the world over are certainly familiar with the quintessential auto manufacturer’s color palate and details providing design inspiration (official or otherwise) for footwear, as “Rosso Corsa” was a widely-used nickname for an all-red Jordan 32, and the classic “Last Shot” Jordan 14s were also inspired by Michael Jordan’s love of the Italian supercars. 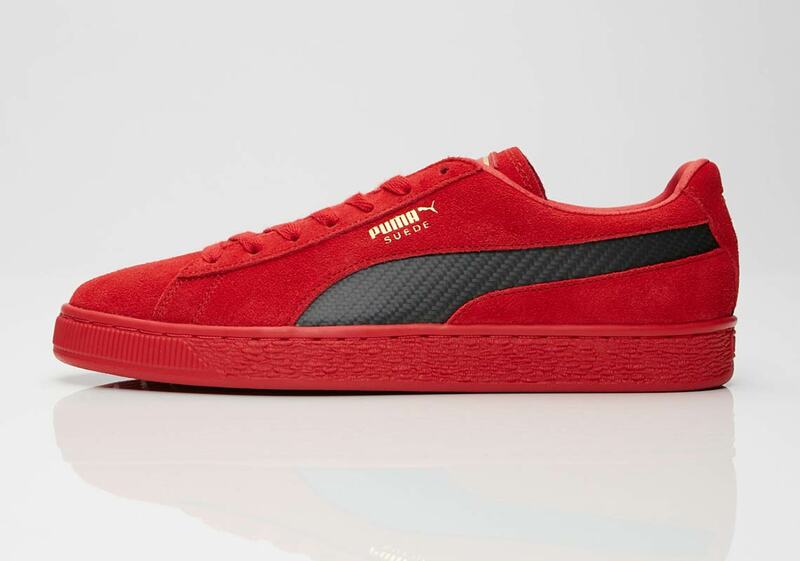 If this premium Ferrari-inspired Puma Suede gets your sneaker or sportscar-loving motor revving, you can pick up a pair from Puma stockists like Sneakersnstuff on June 7th for $100 USD.